← Should I Get Inspections When Buying A New Home in San Jose CA? There were thirteen 2 bedroom Sierra Crest condos sold in the first half of 2011. During the 1st half of 2011, average sales price for the 2 bedroom Sierra Crest condos in San Jose was $243,354, which is 5% lower than the previous half ending 2010 and 10% lower than the 1st half of 2010. 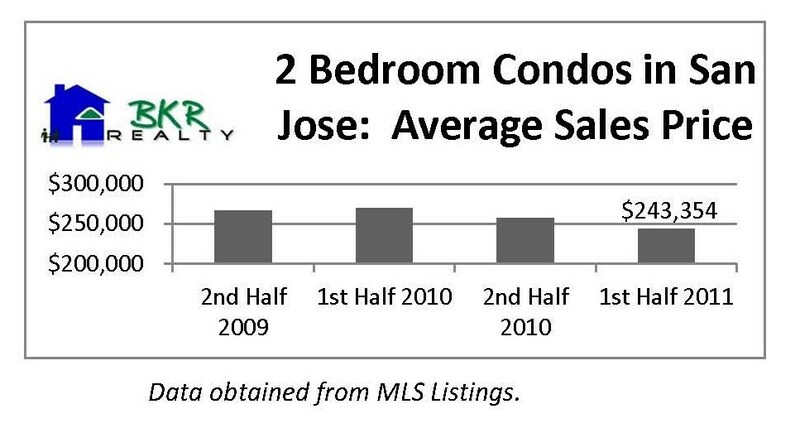 In addition, this average sales price is at a historic low when comparing with all prior 6 month periods back to 2007. 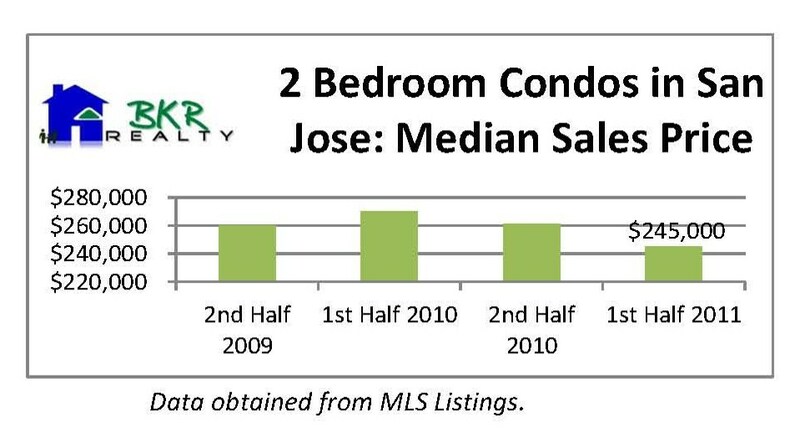 Median sales price in the first 6 months of 2011 was $245,000 for these 2 bedroom Sierra Crest condos in San Jose, compared to median price of $261,000 in the prior period ending 2010 and $270,000 in the same period in 2010. This median sales price is also at a historic low when compared to all prior 6 month periods back to 2007. 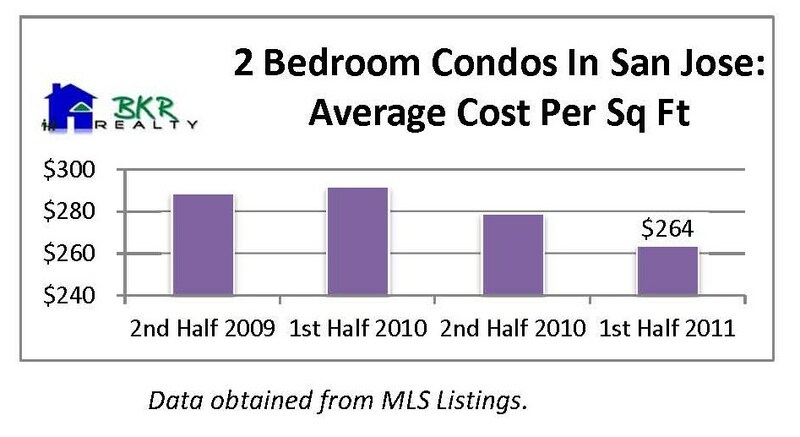 In the 1st half of 2011, average cost was $264 per square feet of living space for these 2 bedroom condos. This is 5% lower than last period; 10% lower than the same period in 2010; and is a historic low. As you can see, now is a great time to buy one of these 2 bedroom condos in San Jose with current prices being at a historic low! With interest rates also being low, buying these 2 bedroom condos could be a good long-term investment. The Sierra Crest Condo complex was originally constructed in the year 1988. It consists of 19 buildings with a total of 332 units with 2 and 1 bedrooms. This complex is centrally located: close to freeways (280 and 17/880), shopping and restaurants (Santana Row and Westfield Valley Fair Mall) and hospitals (Santa Clara Valley Medical Center and O’Connor Hospital).